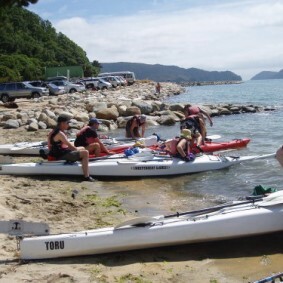 Kayak guide and owner operator “Mitch”, who has been guiding in the Abel Tasman area since 1995, and crew will make sure you enjoy a great value day out kayaking. 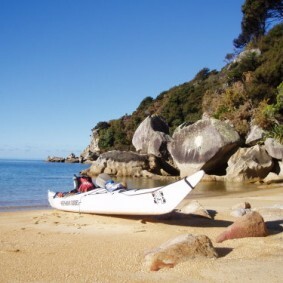 Whether you are looking for a relaxing couple of hours in the idyllic Abel Tasman National Park or want to explore the lesser-visited north end of the park, Mitch and the friendly crew can design a trip to suit you and your budget. 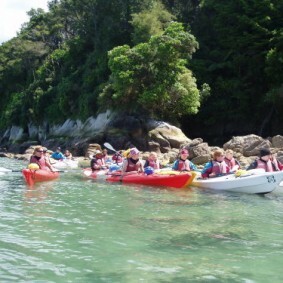 Independent Guides prides itself on being the only sea kayaking company in the Abel Tasman that currently insists on a freedom rental briefing for every single client regardless of trip. 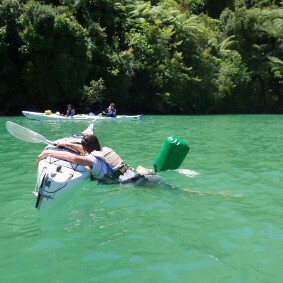 Each kayak is equipped with all safety equipment at all times and all are instructed on how and when to use it. This valuable service will allow you to start your trip with confidence. Click on Equipment list and see what our kayaks are like. 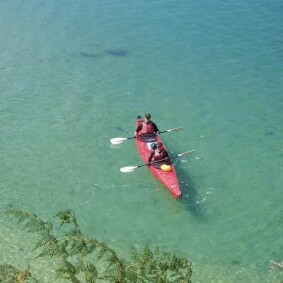 Take a look at our sea kayaking trip options and see what appeals. Of course we can create hire options which meet your needs. Send us an email with any queries, and we’ll get straight back to you. 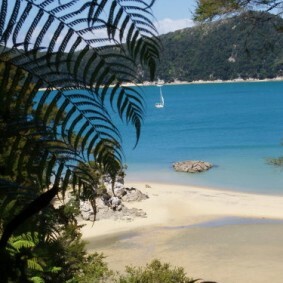 Based at Old MacDonalds Farm Holiday Park, Marahau, (200M up past the park entrance) Independent Guides offers some of the cheapest prices in the Abel Tasman National Park. We look forward to hearing from you anytime.